Heat oven to 350°F. Lightly spray 36 mini muffin cups with cooking spray. In large bowl, mix all ingredients just until moistened. Divide batter evenly among muffin cups, filling almost to top. Bake 25 minutes or until lightly browned. Cool 2 minutes; remove muffins from pans. Serve warm. 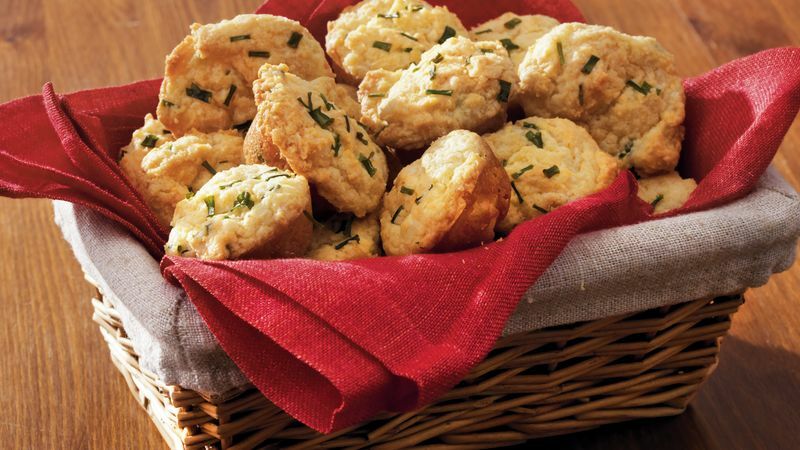 These little biscuit-type treats are a blank canvas for just about any fresh herb that’s available in winter.